Willowdale is the neighbourhood I grew up in, in North York. North York was its own town (mayor, city council, school board, etc), until it was incorporated into the City of Toronto in 1998. 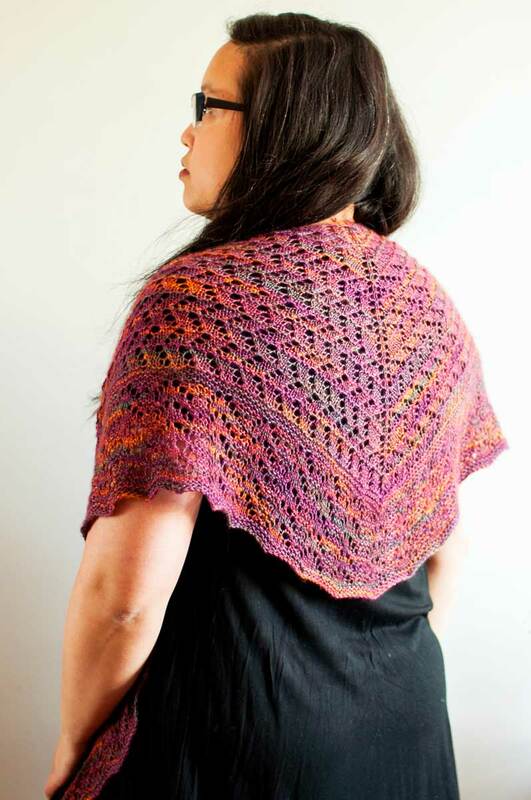 What’s that got to do with this pretty shawl? Not much! But it’s a nice name, right? Willowdale is worked from the top down, beginning with a garter tab and a zigzag-and-garter-ridge lace pattern. The bottom edging is worked in a similar pattern of chevrons. The yarn is Mountain Colors Louisa, a SUPER SOFT cashmere/silk blend. 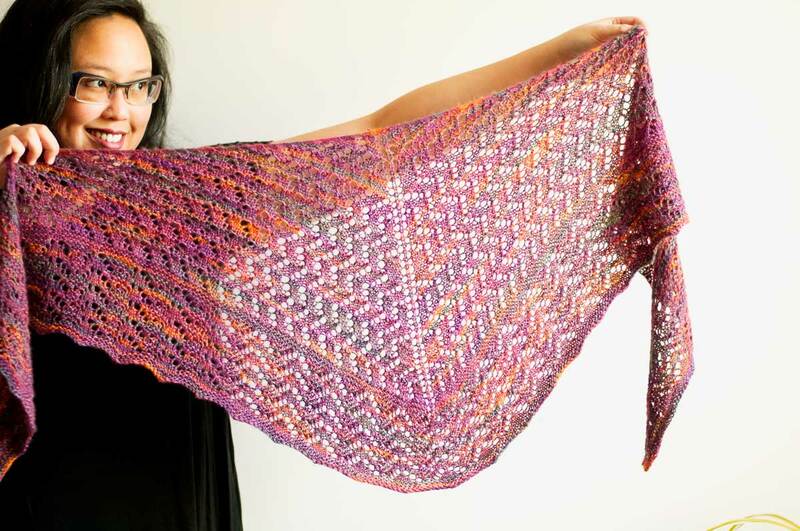 Since it’s a pretty precious yarn, I wanted to make sure that the shawl uses just one skein – perfect for light layer or even a gift for a special someone. It’s pretty big just with the one skein too, since both cashmere and silk tend to loosen and grow when they hit water. Finished measurements: 66″ across the top edge, 16.5″ deep. The lace patterns are given in both charted and row-by-row directions. This 4 page PDF pattern is $6 CAD. 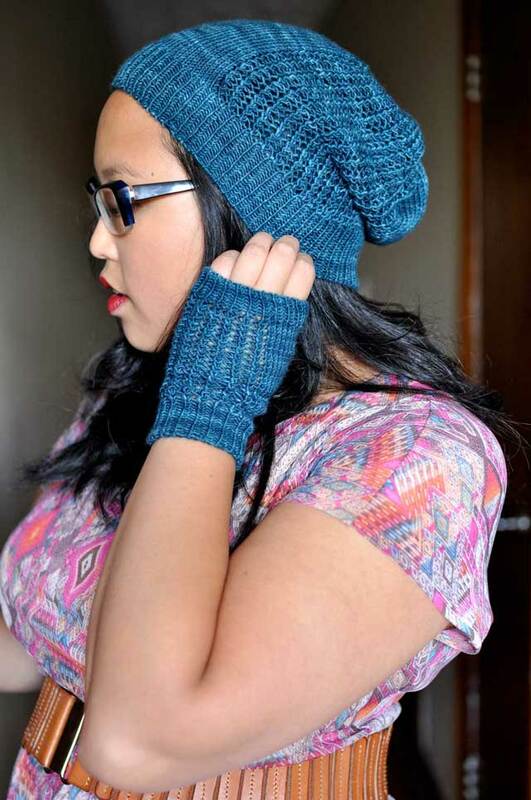 Queue, fave, and buy on Ravelry! Is that done in Koigu? It’s really pretty. I’ve made a dozen of your milkweed shawls and remember you from Lettuce Knit; I used to wander in there during lunchtime when i worked at U of T. Always admire your designs. Was amalgamation really that long ago? I love the homage to your home town. Maybe next you could knit East York or Don Mills? Etobicoke? Now there’s a name I haven’t heard in a while–my grandmother lived in Willowdale on the North-East corner of Finch and Yonge. I remember walking to her apartment from Finch subway stop many times when I was in university. 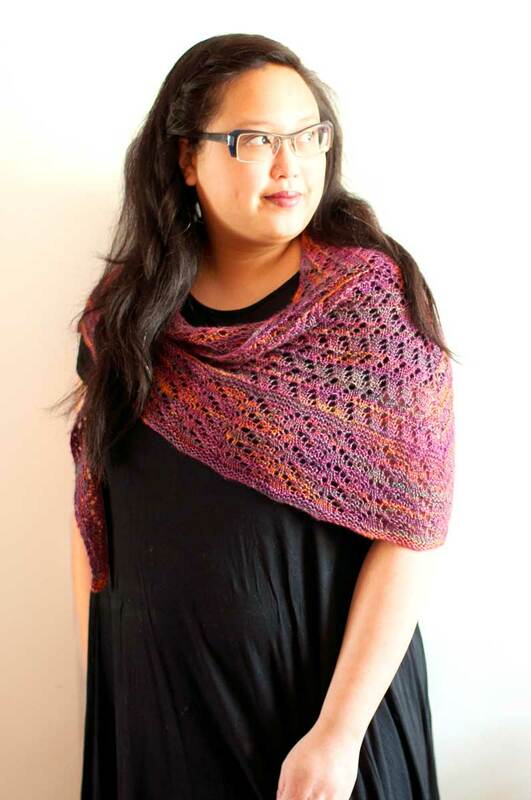 And a beautiful shawl.